Hypercholesteremia: There is considerable debate in the literature as to whether or not reducing LDL cholesterol is beneficial in preventing heart attacks, mortality and mobidity. Recent studies, like the one where Vytorin (ezetimibe/simvastatin) failed to show any benefit versus the older and cheaper Zocor (simvastatin) have shown that it is the anti atherogeneic effect of the statin class of drugs that helps to reduce the inflammation process in artherosclerosis, as opposed to the effect they have on LDL or HDL cholesterol. This is significant because it discredits any role Zetia (ezitimibe) may have in preventing heart disease or heart attacks. If you visit zetia.com and they even say this right on their website. Lipitor (atorvastatin) is indicated as an adjunct to diet and exercise for the reduction of elevated total cholesterol, LDL-cholesterol, apolipoprotein B, and triglycerides in adults and children aged 10 years and older with primary hypercholesterolaemia, heterozygous familial hypercholesterolaemia or combined (mixed) hyperlipidaemia when response to diet and other nonpharmacological measures is inadequate. 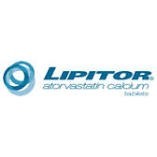 Lipitor (atorvastatin) also helps raises HDL-cholesterol and lowers the LDL/HDL and total cholesterol/HDL ratios. Although statins are very effective in reducing heart disease and heart attacks, it is now arguable that this is not due to their LDL lowering affect. The primary reason, although not proven fully, would be because of their anti-inflammatory effect. So when you decide to buy Lipitor, it’s not always the most potent drug that is effective rather we should be looking at which of the statins best reduces the inflammation process. Other statins that one could use include Zocor (simvastatin), Lescol (fluvastatin), Crestor (rosuvastatin), Pravachol (pravastatin), Advicor (lovastatin/niacin), or Mevacor (lovastatin). Lipitor (atorvastatin) is also indicated as an adjunct to diet and other non-dietary measures in reducing elevated total cholesterol, LDL-cholesterol, and apolipoprotein B in patients with homozygous familial hypercholesterolaemia when response to these measures is inadequate. Prevention in type II diabetes: Lipitor (atorvastatin) is also indicated for reducing the risk of cardiovascular events in diabetic patients with at least 1 additional risk factor, without clinically evident coronary heart disease irrespective of whether cholesterol is raised. Again, this is likely because of its anti-inflammatory effect or its effect on apolipoproteins. Atorvastatin side effects may INFREQUENTLY cause muscle damage (which can rarely lead to a very serious condition called rhabdomyolysis). Stop taking this drug and tell your doctor immediately if you develop Atorvastatin side effects like muscle pain, tenderness, or weakness (especially with fever or unusual tiredness). Consult your doctor if you are taking cyclosporine, gemfibrozil, niacin, antibiotics, especially erythromycin, or medications for fungal infections because in combination they can lead to Atorvastatin side effects. All of these drugs may increase the risk of myositis (muscle inflammation) when taken with atorvastatin and may lead to Atorvastatin side effects like kidney failure. Cost Benefit Analysis: When buying Lipitor (atorvastatin), one should consider the argument above. Lipitor (atorvastatin) is available from Medisave.ca, your canadian pharmacy as a brand and generic. How Do You Order Lipitor Online: Ordering Lipitor (Atorvastatin) online is easy to do for Canadian citizens and for our neighbors south of the 49th parallel in the USA as well. You will need to fax your original prescription to our pharmacy to complete the order. If you want to buy Lipitor (Atorvastatin) but do not live in the U.S. or Canada you may have to find a different pharmacy to deal with. When buying Lipitor (Atorvastatin) from our online pharmacy web site you will have to locate the correct dosage which you are currently prescribed and add it to your shopping cart. To complete the order for your Lipitor (Atorvastatin) prescription you must fax your prescription to our pharmacy. Our cheap prices are one of the reasons why many customers give strong reviews to our website and our pharmacy on various Internet forums and communities. We also have discounted prices for shipping. You will only be charged for one shipping charge even if you want multiple items. You can purchase multiple items from our web site and you will not pay more for shipping charges. Our customer service agents are on hand to help you with any questions you may have during business hours and we may also be contacted via e-mail or over the phone. Lipitor (atorvastatin) is contraindicated in patients with hypersensitivity to any component of Lipitor (atorvastatin), active liver disease or unexplained persistent elevations of certain liver enzymes (such as serum transaminases exceeding 3 times the upper limit), during pregnancy, while breast-feeding, and in women of child-bearing potential not using appropriate contraceptive measures.